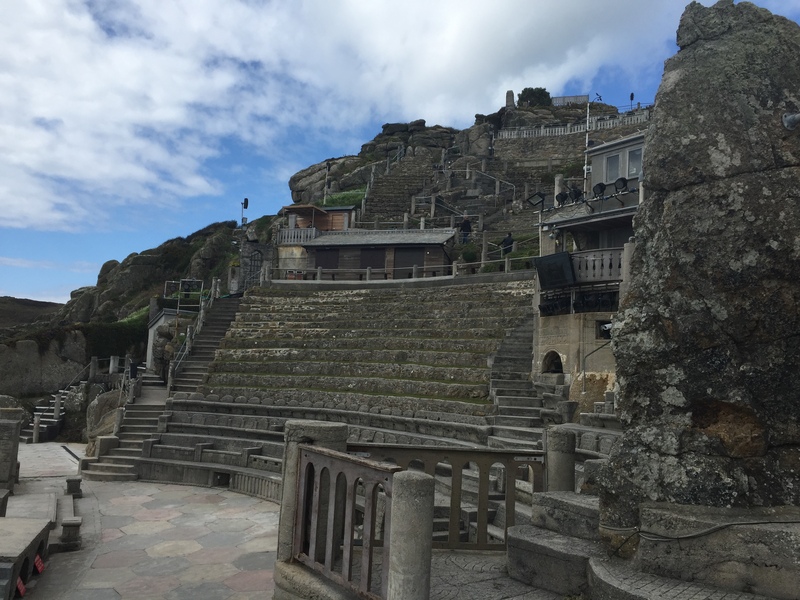 During our recent trip to Cornwall, we planned to visit Minnack Theatre on a beautiful sunny but windy day. 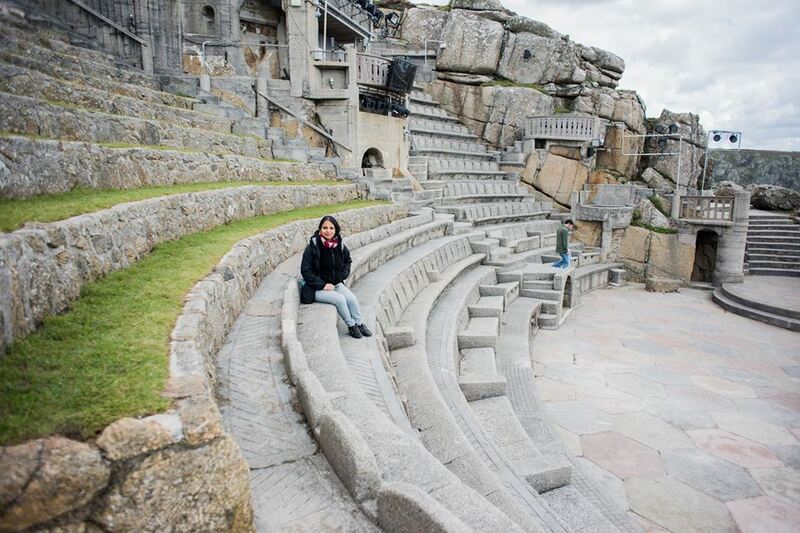 Minnack is an open theatre built on the high & rocky Cornish cliffs above the Atlantic Ocean. It is also listed in the list of world-famous open theatres. Believe me, once you visit the place you will know why is this place so much-loved. It is another world and it has got a fascinating history behind it. Rowena Cade is the brain and the heart behind this beautiful piece of architecture. She moved to Cornwall after 1st world war and built a house for herself at Minnack Point. She used to offer her garden space which was beside the sea to the village group people who wanted to do stage any drama for the community. Miss Cade and her gardener, Billy Rawlings, made a terrace and rough seating, hauling materials down from the house or up via the winding path from the beach below. They carried the sand and the stones on their back without any machinery, they used to carve the seats with the tools to make it more beautiful. She devoted her life to improve the theatre, working over the course of the winter months each year throughout her life (with the help of Billy Rawlings and Charles Angove) so that theatre remains functional. And the result of her hard work can be seen in pictures. 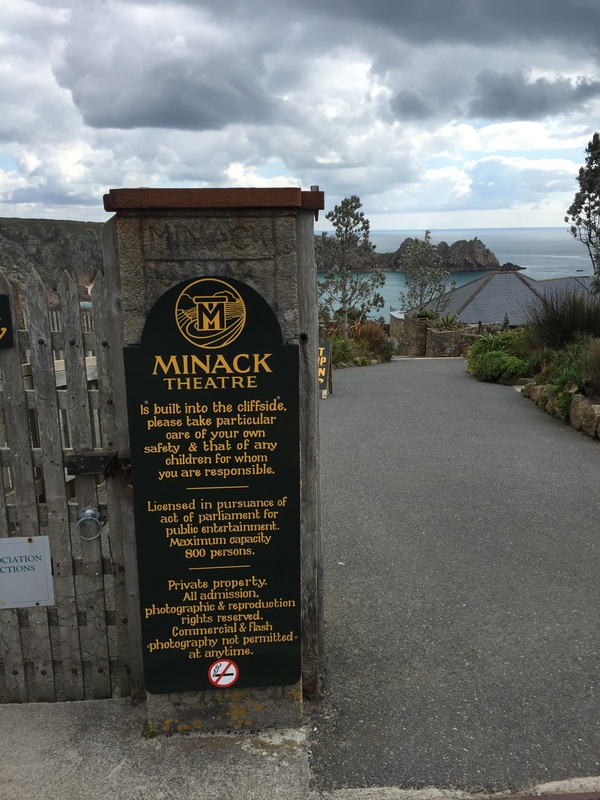 Minnack theatre is situated not very far from Land’s End, you have to drive towards Purthcurno Bay. 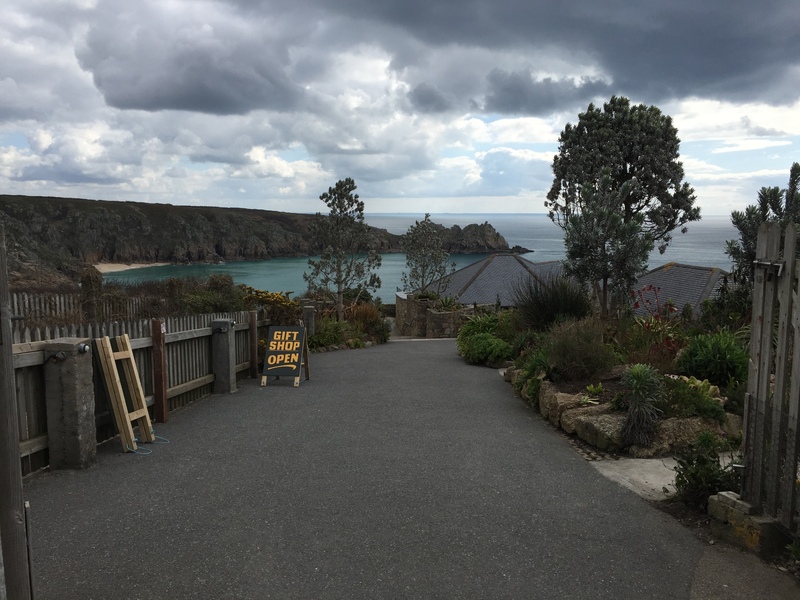 It has also got a rockery and alpine gardens for the visitors and a way down to Bay. Oh my goodness, this is spectacular! 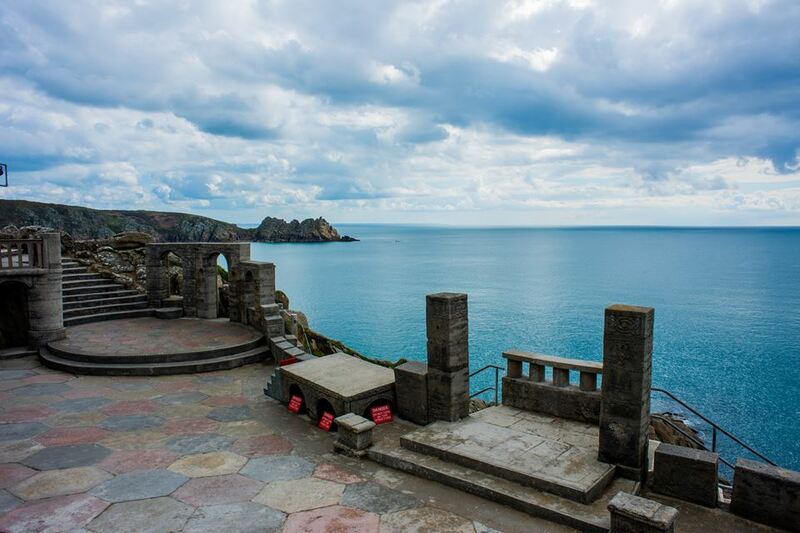 What a delight to find this theatre on the edge of the sea. 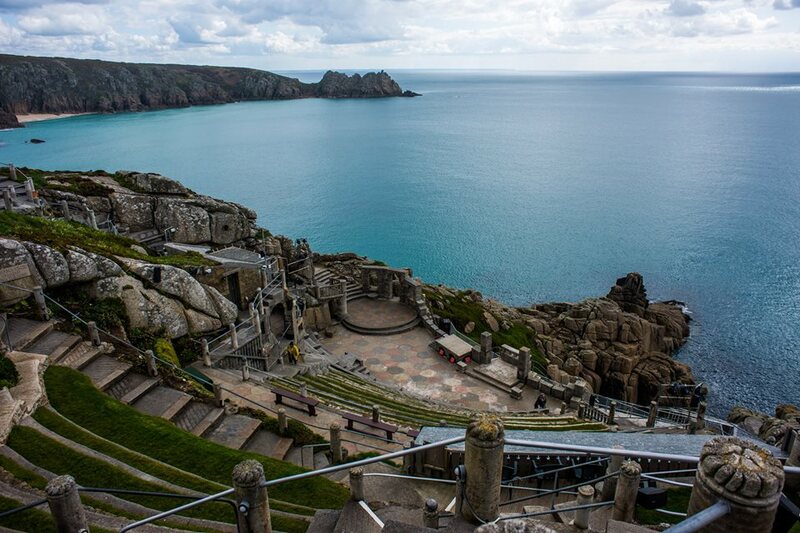 It would be magical to watch a play there, wouldn’t it? I love the photos. How steep, steep, steep it is. So breathtaking and rich in history, Aanchal! I love this place!